JSU | JSU News | JSU Drama Opens Season with "She Kills Monsters"
JSU Drama Opens Season with "She Kills Monsters"
JSU Drama will present its first mainstage production of the 2018-2019 season, “She Kills Monsters” by Qui Nguyen, on Oct. 26-29. Set in the 1990s, the action adventure tells the story of Agnes Evans as she leaves her childhood home in Ohio following the death of her teenage sister, Tilly. When Agnes finds Tilly’s “Dungeons & Dragons” notebook, however, she stumbles into a journey of discovery and action-packed adventure in the imaginary world that was Tilly’s refuge. 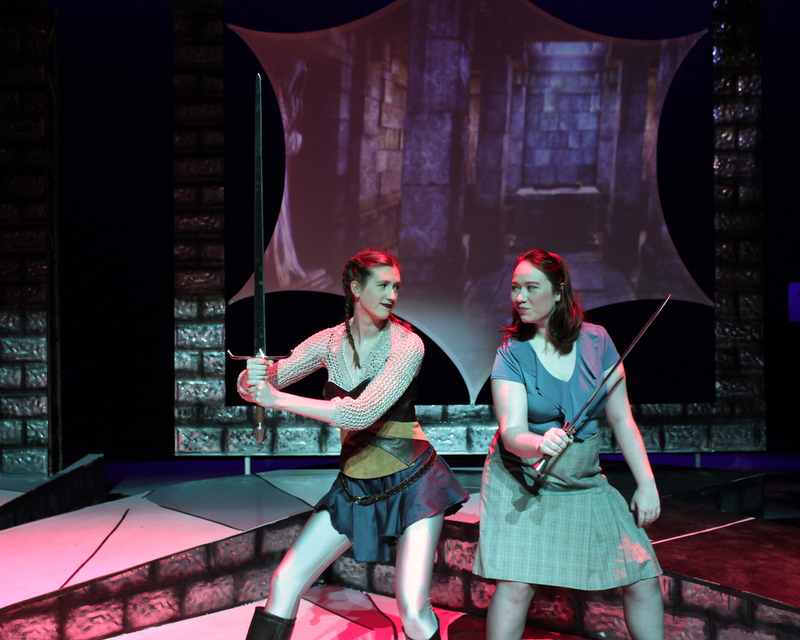 The production is technically complicated, including elements such as videography, original music, advanced puppetry, detailed costumes, and plenty of intense stage combat. “This is the biggest, most complicated show we have ever done by far here at JSU, ever, in over 50 years of theatre,” said Dr. Michael Boynton, show director and assistant professor of drama. The cast includes Allison Lawley, Chloe Barnes, Christian Watts, Benjamin Marazzi, Anika Corsi, Tiffany Jenkins, Jessika Holmes, Abbie Beatty, Ashe Fadely, Jaden Vaughn, Jesse Curvin and Kevin Jannot.